The SCHEELS crew landed in Orlando, Florida, to meet with top fishing vendors at the Orange County Convention Center. ICAST is the world’s largest sportfishing trade show where top industry brands showcase their latest innovations in fishing gear, accessories and apparel. We sent a camera crew to document SCHEELS Professional Angler Johnnie Candle as he toured the expo to see what vendors had to offer. We had a great day here at #icast2017 in beautiful Orlando, Florida! Check back tomorrow for a variety of videos featuring the industry's top brands and new products. All of our videos from #ICAST2017 are located here. We wanted to share in the excitement of the products being released by providing a series of videos with our top brands. Choose a category and enjoy watching what we captured for you. Use the comment section below to start a conversation and let us know what you would like to see next year! Rapala has some of the best innovation and they kept it coming with these three baits released at #icast2017. The popular Z-MAN Fishing Products Ned Rig just got an upgrade! Check back again tomorrow for even more videos on new and innovative products from #icast2017! If you are a Powerbait fan you are going to enjoy 45% more hookups with the new Max Scent bait lineup. Follow along as we find more great products at #icast2017! Join the glide bait craze with the new Berkley Snap Jig! Learn more about this bait and other great products at #icast2017 with SCHEELS Professional Angler Johnnie Candle. What could be the coolest bass bait at #icast2017, the Prop Series from Lunkerhunt. FireLine has gotten a whole lot stronger. Find out what the upgraded FireLine Ultra is all about at #icast2017. Sufix 832 is now available in an 8lb test option! Lews continues to "Crush" it in the reel industry, check out the brand new Crush series at #icast2017. A one piece bearing with performance that will have you making the longest casts you have ever made. Learn more by checking out this video from #icast2017. If you loved the Quantum Smoke reels before, you're going to want to pick up the new redesigned reel.Learn more about the science that makes this reel so great at #icast2017. The Revo Spinning Series by Abu Garcia is the new entry level spinning offered at an amazing price point. Find out what makes this reel so special with SCHEELS Professional Angler Johnnie Candle. A smaller design and more adjustments make the updated Shimano Curado a must have casting reel. If you prefer a spinning reel over a casting reel, be sure to check out the new Sedona Series by Shimano at #icast2017. Not holding anything back, St. Croix developed what could be their best rod yet! We are back today with more videos from #icast2017! 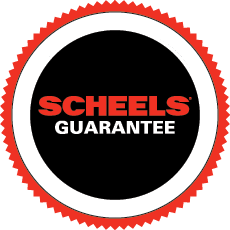 Stay tuned throughout the day as we find new and innovative products with SCHEELS Johnnie Candle Professional Angler and Sport Fishing Communicator as our host. A stronger design built on accuracy and dependability. The new Conquest by G-LOOMIS is another innovative design released at #icast2017! Good morning from Orlando, Florida! We will be bringing you videos all day long from #icast2017.Let's start out the day with three awesome new products from Johnson Outdoors! A new transducer option from Garmin will allow you to fish with only one transducer while using Panoptix. Learn more about fishing with a live view down and forward. An entire lineup of footwear that even inlcudes an award winning boat shoe! HUK launched their line of footwear at #icast2017. Take a look with SCHEELS Professional Angler Johnnie Candle Professional Angler and Sport Fishing Communicator. Beyond eye protection, new technology has allowed glasses to help you fish better too. Find out how with SCHEELS Professional Angler Johnnie Candle Professional Angler and Sport Fishing Communicator at #icast2017. The day is finally here! ICAST 2017 has official begun and we are excited to bring this experience to you. Follow along as we tour the floor and find exciting, new products for 2017 with SCHEELS Professional Angler Johnnie Candle as our host.